Outdoor family time is an awesome way to build family relationships! 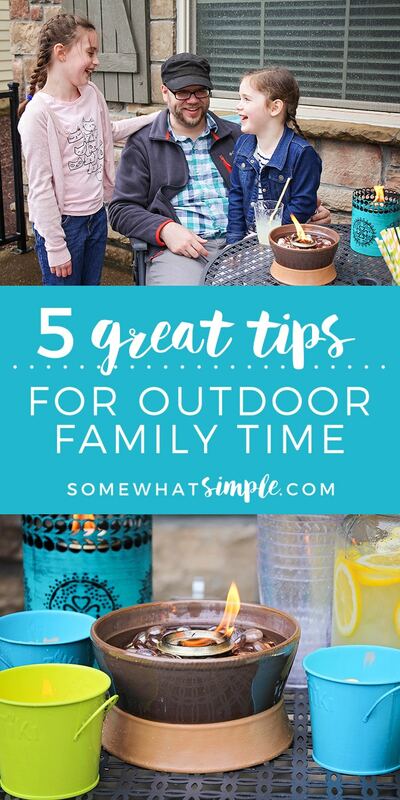 Check out these five great tips to make outdoor time even more fun and enjoyable. Now that the weather is starting to warm up, I’m really excited for fun summer evenings outside with my family! Outdoor family time is a wonderful tool for building our family relationships. I love the fresh air and the time we spend together, not to mention that it helps the kids burn off all of their extra energy. We make it a point to spend at least an hour outside every day during the warmer months. The weather doesn’t always cooperate, and sometimes we have to run out and play in between bursts of rain, but it’s well worth the effort! 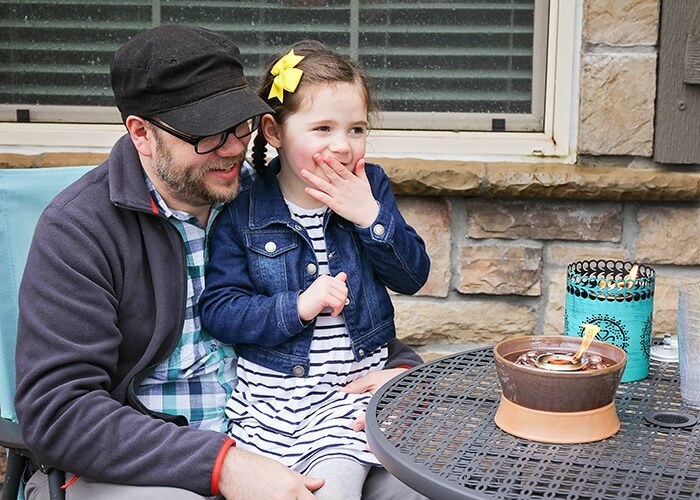 Over the years, we’ve figured out some tricks that work for our family to make outdoor time even better. 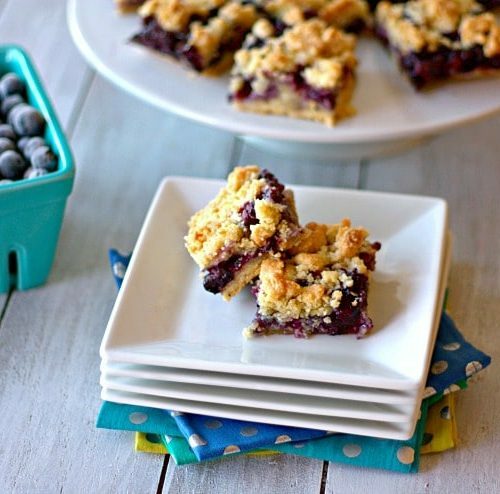 I’m sharing all of our tips below, and I hope they’ll give you some ideas for your own family! I don’t know about you, but it’s WAY too easy for my phone to be distract me. Even when I’ve set my intention to spend time with my family, every little buzz and chime from my phone tries to pull me away. For our family, the best solution is to just set them aside. We leave all of the electronics inside, and shut the patio door behind us. It’s surprisingly freeing, and definitely makes for better conversation. It makes such a difference in my relationship with my kids when they know they have my full attention. 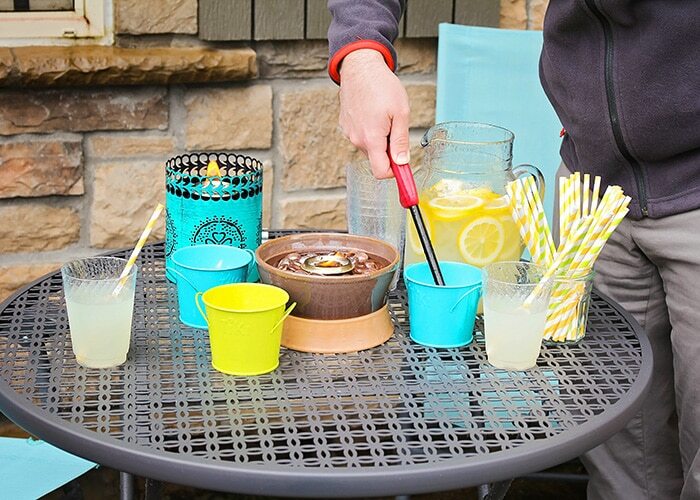 We love using The TIKI Clean Burn Tabletop System for our outdoor entertaining. Not only do they look great and add ambience, they also have a bright, beautiful flame with less smoke. The Clean Burn Torch Fuel is plant-based and produces less smoke. Best of all, it doesn’t have that stinky petroleum smell. Each 4 ounce fill provides three hours of burn time, with a total of 24 hours of burn time per 32 ounce bottle of fuel. 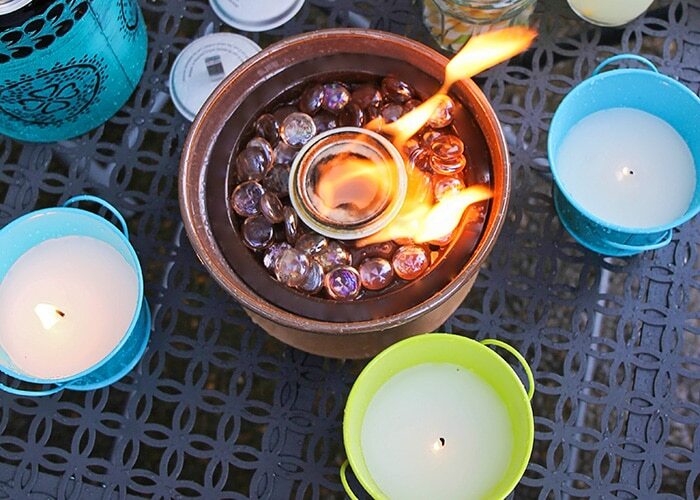 The Clean Burn Tabletop Firepieces have a reusable wick that’s easy to light, and the whole system is simple and mess free! TIKI has a wide variety of Clean Burn Firepieces, in different sizes and styles that will look great with any color scheme or decor style. They are really good quality and beautiful too! 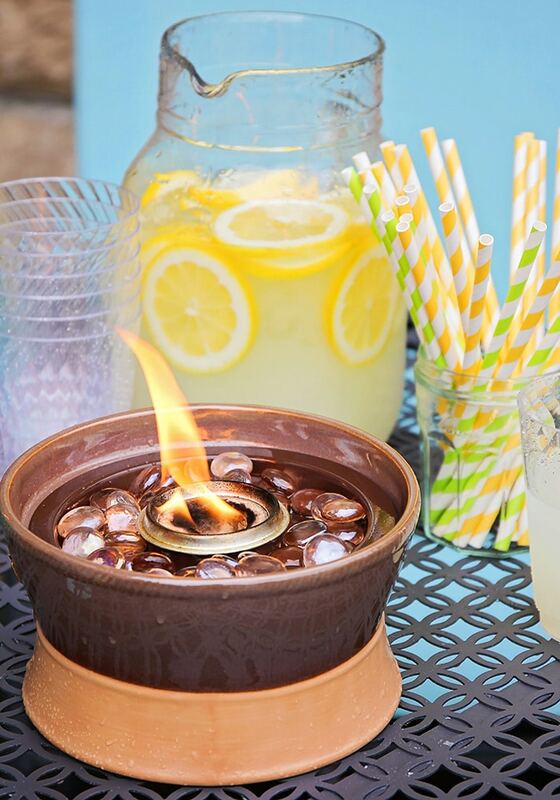 TIKI reinvented fire by getting rid of the sooty, smoky mess, and leaving just the clean, bright flame. 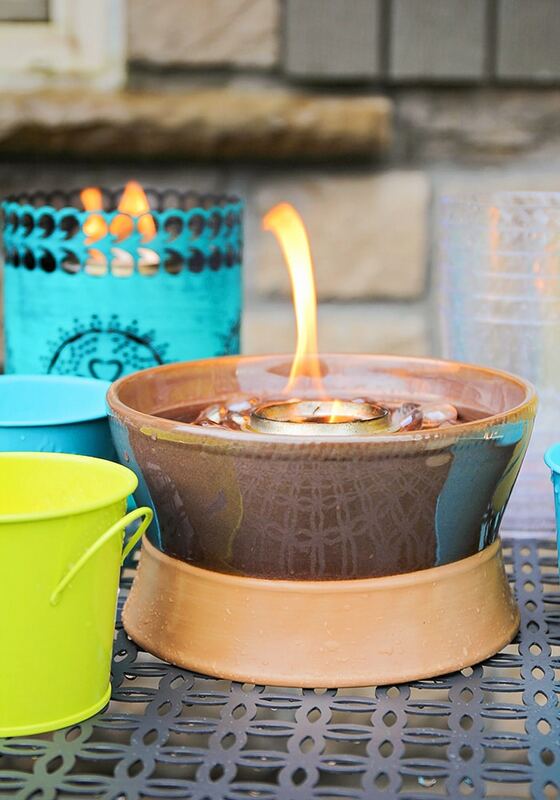 We love to set up our patio table with a few firepieces for light and ambiance, and add some citronella candles to help keep the bugs away. It’s simple and easy to set up, and makes the backyard feel cozy and comfortable. For this particular evening, I totally made my kids’ day and brought out a pitcher of fresh lemonade. It’s a rare treat and one that they love! Usually, though, we just stick to basic water bottles. I’ve found that when we forget to bring out the water bottles, the kids get cranky and the level of fighting increases quickly. Especially with the warmer weather coming, it’s a must to stay hydrated! Bring on the bubbles, chalk, jump ropes, and bouncy balls! Some of my favorite memories from my own childhood are playing kickball or baseball in the backyard with the whole family. I could spend the whole afternoon drawing with chalk on the front driveway. 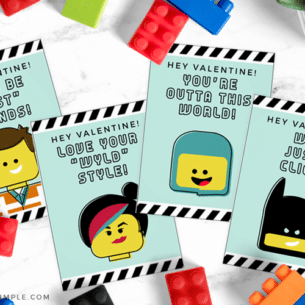 Just a few inexpensive and simple toys can help spark creativity and make it a fun experience. 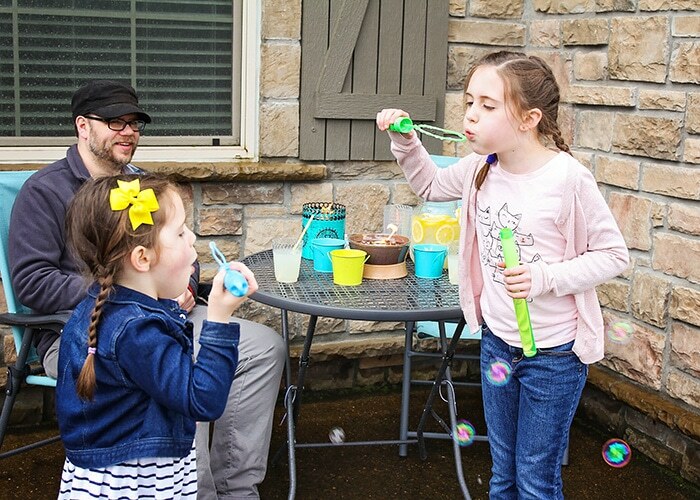 My girls are obsessed with bubbles and can’t get enough! I’m always amazed at the things my kids share with me when I’m paying attention. For example, my six year old has really struggled this year with kindergarten. She’s shy and quiet, and school is often overwhelming for her. I’ve learned lately that when I just give her space and time to talk about things in her own way, after a little while she starts to open up and share things with me. 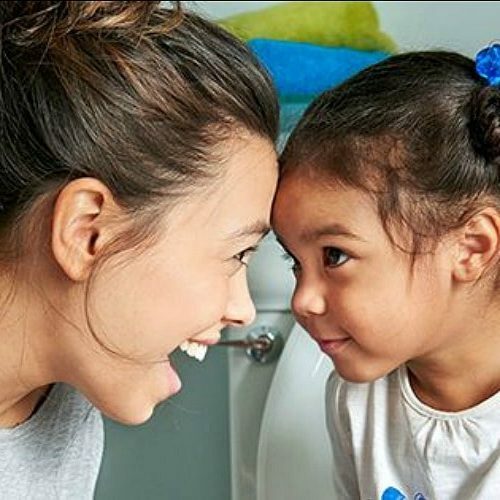 I love hearing about her little victories at school, like when she works up the courage to ask a new friend to play, or when she’s chosen to be the line leader and it makes her day. 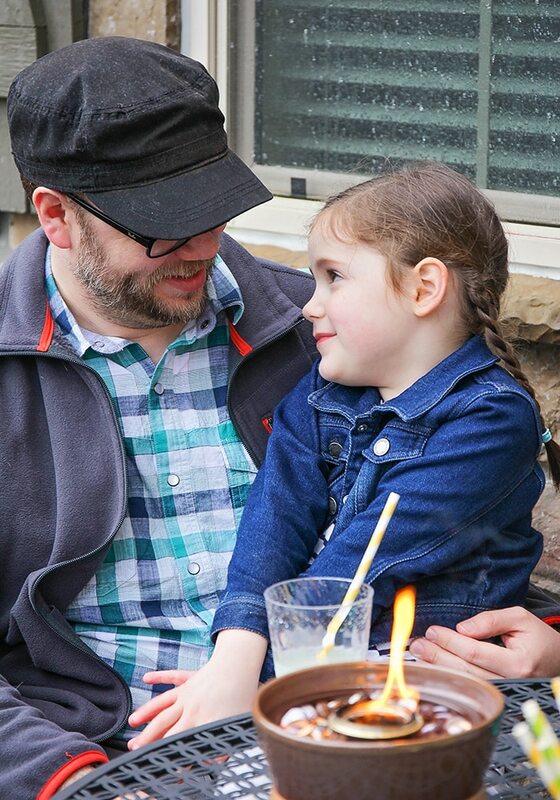 Some of our happiest memories lately have been times we’ve shared together outdoors, just relaxing and enjoying each other. Outdoor family time is a great way to connect and take a break from all the busyness in our lives. This post is sponsored by TIKI Brand. As always, all opinions are my own.